The sixth stage of the 2017 Dakar was cancelled due to bad weather. 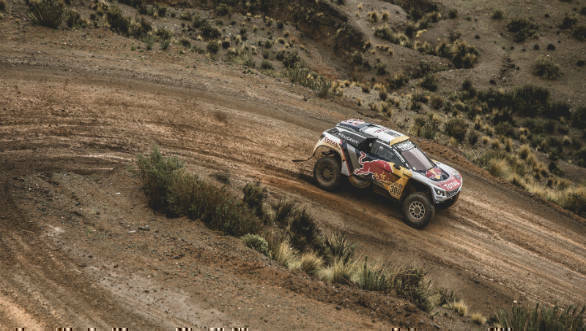 The rally organisers took the decision after thundershowers lashed the Altiplano region in Bolivia for over 12 hours, washing away the tracks and making the stage un-motorable. The stage was set to run from Oruro to the Bolivian capital of La Paz for a total of 786km, of which 527km was the timed section. This was supposed to be the longest stage of the rally. Saturday's cancellation means teams get a two-day rest period as Sunday was earmarked as the official rest day in La Paz. The action will resume on Monday with Stage 7 which will run from La Paz to Uyuni, a total of 622km of which 322km will be timed. This section is the first part of the marathon stage, during which competitors will not have access to assistance crews. This means they'll have to conserve their vehicles while driving over the treacherous terrain. Any problems can only be taken care of in Salta, the end of the marathon stage, where the assistance crews will be stationed. At the end of Stage 5, Peugeot driver Stephane Peterhansel leads in the car category, while KTM rider Sam Sunderland is the leader in the bike category. 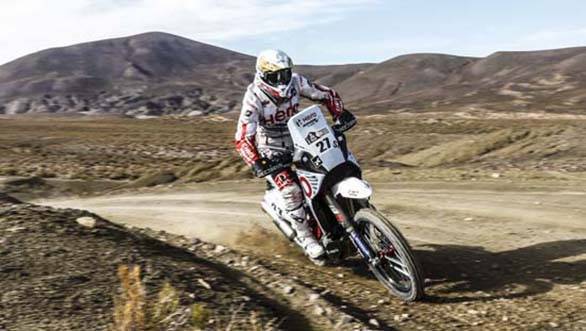 Sherco TVS Racing's Juan Pedrero Garcia finished Stage 5 in the 4th place while Hero Motorsport Team Rally's is placed 11th overall at the end of Stage 5.